This is the lab site for BI 141: Introductory Cell & Molecular Biology at Worcester State University. It is currently under development. 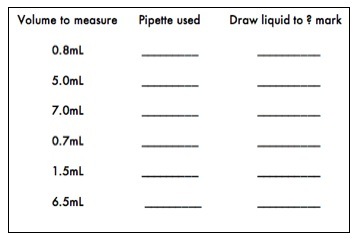 Solve the Lab 1 Practice Problems and submit them through Sakai. A copy of the problems are located below for your convenience. We recommend that you type your answers first in a word document and then paste the answers into Sakai. Assignments will ONLY be accepted through Sakai. 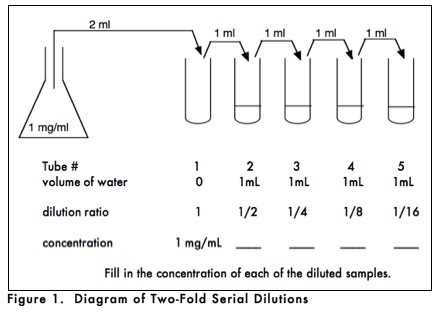 Your instructor will show you how to do this in Lab 1. Your instructor will grade the problems and you will receive the results through Sakai. This page was last edited on 10 July 2013, at 07:19.